Thekkady is one of Kerala’s most popular destinations. The land has become famous because of its exotic wildlife and spice plantations. Its environment has a mysterious tone, which is just perfect for all the adventure activities you can enjoy here. The list of such activities is almost endless. However, let’s take a look at some of the most interesting activities that Thekkady has to offer. Although known for its tranquillity, the Periyar National Park promises a joyful and thrilling experience with nature. The highly protected area gets its name from the Periyar River which originates from the park. For the record, Periyar is the longest river in Kerala. The whole of Periyar National Park radiates with peculiar charm. The most outstanding feature of the park is the great variety of flora and fauna. It also has tropical evergreen forests with ample trees, all of which are rare and unique. 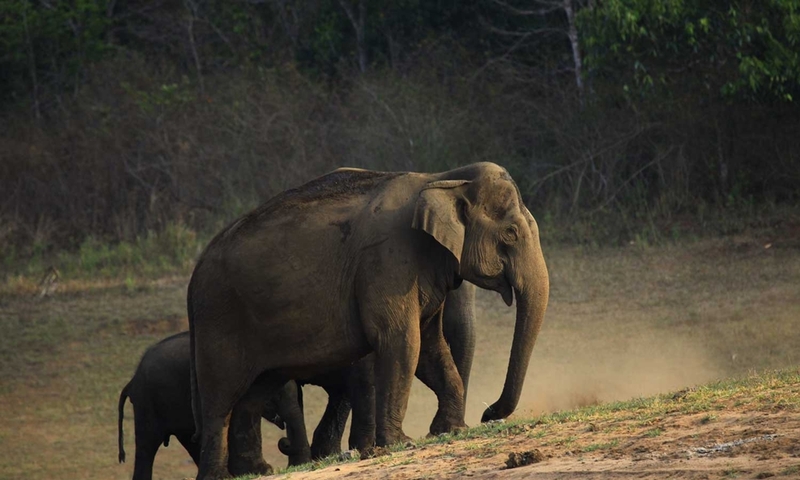 Unlike most other National Parks in India, the Periyar National Park is more than just a jeep safari tour. Without a doubt, boating is the most popular activity in Thekkady. Periyar Lake has an ideal environment for a great boating experience. The first boat ride starts at 7 in the morning. It is a one-and-a-half hour ride offering amazing views of the lake and the dense forests on the shore. You can even spot animals coming to shore and drinking water from the lake. It is a spectacular sight. Elephant sighting is more frequent whereas spotting a tiger is extremely rare. Kerala Tourism Development Corporation (KTDC) and Kerala forest department have put in place elaborate safety measures and procedures for tourists. It is mandatory to wear a life jacket while onboard. So you do not have to worry about safety. Try to get seats on the upper deck for better views of the surroundings. They cost a little extra but the views are worth it. For the adventurers out there who want a closer experience with the wildlife in Thekkady, the Jungle Camp is a great option. You can enjoy tent camping close to the Periyar Lake at Vallakadavu. 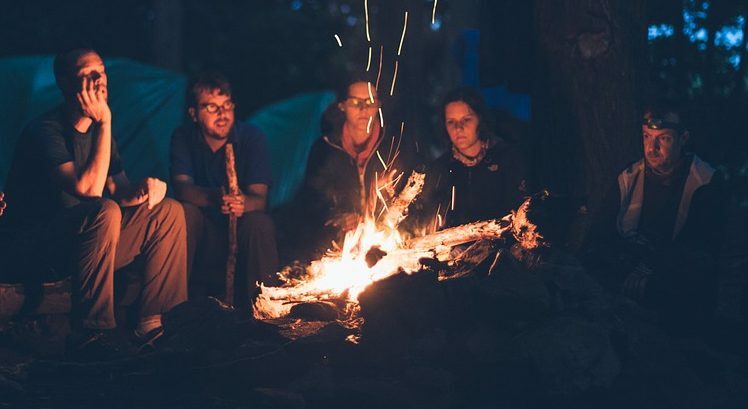 The quaint sylvan surroundings of the forest make the camping experience truly wonderful. Accommodations are available for 30 people at one time. Jungle Camp also arranges a board room with a projector and film shows. At the camp, tourists can enjoy trekking, bird watching and also relish the traditional food of the Urali tribe which lives here. Jungle Camp promises pure adventure free from any danger. The most exciting and whimsical way to explore the forest is Bamboo Rafting. You can enjoy this activity at any time from dawn to dusk. The relaxing trip offers surreal views of the forest. It also gives you a rare chance to interact with forest residents and to get a closer look at the animals and birds. The package includes food. So there is nothing to worry about. Border Hiking in Thekkady is an endless trail of uncertainties and discoveries. It is an unforgettable experience for travelers who love to trek. As you trek across dense jungles through challenging terrains at altitudes ranging from 900 to 1300 m, the majestic trees around make sure that you do not get exhausted. You will be able to spot many colourful birds and butterflies as well as animals like Gaur, Sloth Bear and Elephants. For your safety, you will have two well-trained guides and an armed forest guard accompanying the group during the trek. Vegetarian meals are included in the trip. Most wildlife parks in India do not offer this activity. That is why Night Trekking is a very popular activity in Thekkady. Many wildlife species are active only in the night. The 3-hour night trek allows you to explore such nocturnal species. There are two trekking routes. One group of 2-6 people goes for the trip. They are accompanied by two well-trained guides and an armed forest guide. There are three time-slots – 7 PM, 10 PM AND 1 AM. Common sightings during these treks are the Civet, Mouse deer, Flying squirrel and Owl. The entire experience is so unique that you can never forget it for the rest of your life. Clouds Walk offers travelers a bird’s eye view of the Periyar landscape. It is a four-hour guided trek which covers vast expanses of irrigated and arid land, evergreen and deciduous forests and grasslands. After you trek across them, you finally arrive at the Tribal Heritage Museum. The place has misty hills and verdant valleys which are home to delightful birds, butterflies and other endemics like the Nilgiri Pipit, broad-tailed grassbird, tree nymph etc. At one time, up to six people can go on the trek. The timings are from 7 AM to 3 PM. Do not forget to take a pair of binoculars with you. Nature walk in Gavi is an ideal activity for travelers who love nature more than wildlife. It a three-hour walk where you cover different nature trails. Well-trained tribal guides accompany you for the walk, showing you the best of each trail. One group can contain a maximum of 5 people. The timings are from 7 AM to 3 PM. You cover a total distance of about 4 to 5 km. It is a completely relaxing experience. This will be your ‘Man vs Wild’ moment. Tiger is the national animal of India and therefore is the most sought-after wild animal in the country. Many tourists spend loads of money in hopes of being able to spot a tiger. But only a handful get lucky enough to spot one. But chances of spotting a tiger are much higher during the Tiger Trail in Thekkady. A group of 6, accompanied by rehabilitated poachers, go on this trail. For your safety, an armed forest guard also accompanies the group. The trekking route (about 20 to 35 km) passes through hills and valleys, providing you with an abutting opportunity to be up close with nature and wildlife. On Tiger Trail, you can choose between a 1-night stay and a 2-night stay. The package includes vegetarian meals and accommodation in country tents. The highlights of Tiger Trail are the real-life adventure stories you’ll hear from the ex-poachers. They have an intricate knowledge of the forest terrain. Sleeping amidst the jungle sounds is an unforgettable experience. Apart from the royal tigers, you can also spot Giant Squirrel, Nilgiri Langur and Indian Elephants. Make sure you are physically before you embark on this challenging but exciting trek. Once you’re done with wildlife activities, you can explore Thekkady with other interesting activities. Thekkady’s imperturbable, never-ending chain of misty hills and aromatic plantations is sure to allure you. A spice plantation visit will recalibrate your senses and taste buds. The soothing fragrance of cinnamon, cardamom, nutmeg, ginger or cloves is waiting to welcome you. The climatic and geographical conditions of Kumily make it an ideal place for spice cultivation. You can visit the plantations and enjoy a nature walk or an elephant ride. But we don’t encourage elephant rides because we consider it be cruelty toward the animal. Abraham’s Spice Garden is an excellant plave to visit. For those who want to have maximum fun in minimum time, Jeep Safari in Gavi is a great option. It’s a very popular off-roading activity in Thekkady. You can cover forests, spice plantations, waterfalls and green vegetation, all at one go. Jeep Safaris are organised daily from 6 am to 5 pm. There are different types of packages available for Jeep Safari. They include the option of breakfast, lunch as well as boating. This Ecotourism programme in Gavi also offers you the opportunity to see some the endangered species like Lion-tailed macaque and the Nilgiri Tahr. Your date with the Jumbo can’t be sweeter than this. And don’t worry, these are domesticated and trained elephants. At Thekkady, you can do numerous activities with this State animal of Kerala. You may indulge in a simple photo session or feeding session. You can also enjoy the more popular elephant bathing session. The elephant will lie down patiently and you get to bathe the elephant. Elephants are generally in a joyful mood as they enjoy playing with water. Other activities include commands, communication and timber dragging. This is your chance to stand face-to-face with one of the largest mammals and see how well behaved they are when tamed to perfection. We, at Experience Kerala, do not encourage or promote this particular activity as we see it as an act of animal cruelty. After an adventure-packed day, you would want to relax and unwind. Go to a cultural centre where you can enjoy watching a traditional Kathakali performance, an amazing display of dance and drama. The top-notch hand-to-eye coordination on display is truly exceptional. Apart from that, there’s Kalaripayattu which is Kerala’s own martial art form. You’ll witness an extraordinary level of synergy and control over mind and body where bare-chested trained performers play with weapons and fire. The hair-raising action is something you don’t want to miss out on. Soul Travel Blog has written an amazing blog about Thekkady, where they describe the experiences they enjoyed there. Read it right away! Also check out the list of Best Cultural Show Centers in Kerala. Although tickets for most of the activities are available at the counters, it is always advisable to book online to avoid any disappointments. To book any of the above activities or for more information on the same, please visit https://www.periyarfoundation.online/# and http://www.periyartigerreserve.org/. At the time of booking, please keep your identity document number ready. Foreigners can use their passport whereas Indians can use other options like Aadhaar, Driving License or Election ID. Also, you need the visitor’s name, nationality, age, mobile no and email id handy. If any kids are accompanying you, there is no need to buy tickets for kids under 5 Years of age. For kids between 5 to 12 years of age, you need to purchase Kids ticket. Kids above 12 years require an adult ticket. You can also ask your booking operator for help regarding online booking. Generally, they do this at no additional cost. You can also get in touch with Experience Kerala’s team if you want any assistance regarding booking tickets for any of the Thekkady and Periyar activities. Even if the online tickets are sold out, our on-the-ground team will contact the booking office and help you out with the tickets. We are available at [email protected]in and + 91 9400010500. Thekkady features some of the best kind of accommodations. So you can enjoy your day with all the fun-filled activities and rest assured that you’ll have a great place to go to for spending the night.